Cub Scout Attendance Register for the Dornoch Cub Scouts, covering the period April 1972 to October 1979. In stiff yellow cardboard cover, with a brown plastic spine and front cover handwritten annotation Reg. No. 39346. 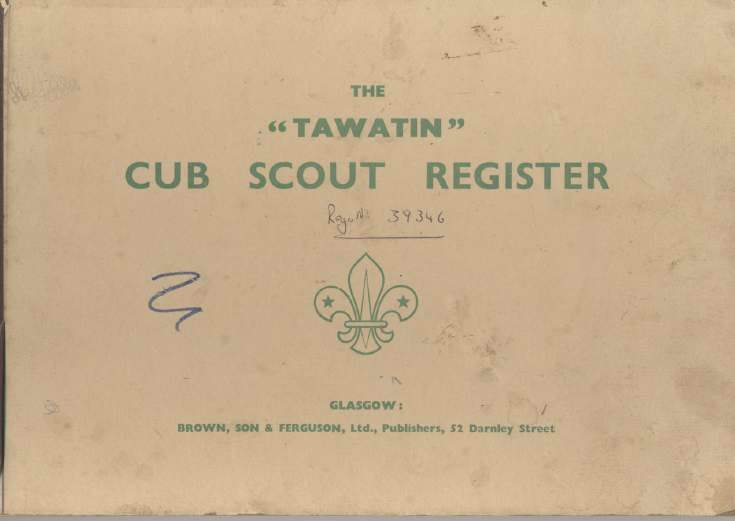 The inside of the front cover has printed 'Hints for Marking the Register' and the first two pages contain information about cub badges. The register gives the names, addresses, attendances and subscriptions.